Many of our readers have written to us to know How Banks Process and Approve Home / Car Loans ? They further have apprehensions that their Loan Applications were turned down despite having good Credit Report and CIBIL Score greater than 800. How do we account for such a case ? When you apply for a Housing Loan, the following steps are performed by the Lending Bank / Financial Institution. Collect all necessary Documentation where Income Proof like Salary Slip, IT Returns are of importance to our discussion. The Basic Principle to apply for evaluation is, Monthly Income Vs EMIs Payment. (a) If your EMI commitment is more than your Monthly Income, 100% Reject even if you CIBIL score is 850. (b) If you fall under the category, where your EMI commitments take 60% of your Monthly Income, and you have 40% to run your household, this is also a case for Rejection, irrespective of the fact you may have HIGH CIBIL Score. (c) So in what Cases do Lenders Approve ? 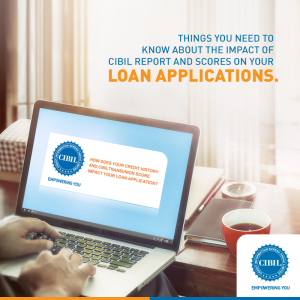 If your outgo for EMI is less than 50% of your Monthly Income, and if this present application is approved, then the total EMI commitment is still less than 50-55% of your Monthly Income, coupled with CIBIL Score of at least 750+, chances are High you will get your Loan approved. To illustrate, assume your monthly take home salary is Rs 100,000. You already have commitment for Car Loan and Android TV Loan to the tune of Rs 35,000 / Month and your TV Loan is due for expiry in the next 6 months. Assuming you have applied for Housing Loan where estimated EMI is around Rs 25,000, you will get approved since your commitment will be Rs 35,000 + Rs 25,000 and will be left with Rs 40,000 to run your household. (d) Other influencing factors in determining loan approval is the City / Town where you reside in to decide the cost of living. If you meet all the above criteria, only then the application will be forwarded to the Central Processing Cell [CPC] and sometimes they may ask for Guarantor or Co-Lateral, depending on your Banking relationship to retain you as a consumer and provide service. Case Study:Suppose Nilima and Krishna are living in New Delhi and Mysore respectively having a monthly income of Rs 150,000. Both have EMI commitment of say Rs 60,000 and both apply for a new Personal Loan where an additional commitment of Rs 25,000 will be their upcoming liability. In this case, Nilima’s application is likely to be rejected because of clause 5(c) and 5(d) as explained above, while that of Krishna can be accommodated as he can easily sail through with a surplus of Rs 65,000 to manage his household in Mysore where Cost of Living is cheaper. Why Financial Institutions Insist on Insurance on EMI Payments ? If at the Bank’s CPC they feel there is a threat to your professional income [Economic Downturn, etc], they will try to safeguard their EMI commitment by means of an Insurance which takes care of EMI for short interim period of your unemployment only. Of course, premium on that Insurance is an additional liability for you. Kindly note that Banks / Lending Institutions track more signals these days as we are in a connected world where there is lot of data for them to crunch on their customers. However, the above discussed points should serve as a ballpark estimate for an individual to determine his Home Loan Eligibility. This entry was posted on Wednesday, August 24th, 2016 at 12:32 pm	and is filed under Credit Adviser.